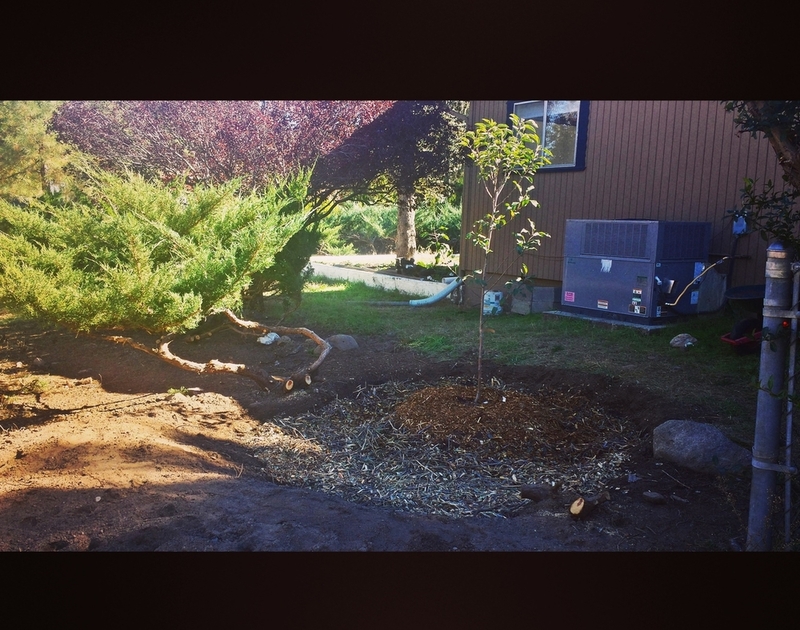 Fall greywater harvesting & musings. Fall has come and gone so fast this year, it's crazy. Since I came back from my last big race trip--the Grand Junction Off-Road, World Championships and Boulder Cup--my plans for my 'off-season' were thrown up in the air pretty unexpectedly by crashing down on my knee, hard. The plan had been to keep mountain biking, start a strength program and race a few weekends with the Stan's NoTubes Cyclocross Team and then show up to Iceman Cometh this weekend ready to race. Instead, I was unable to pedal, hike, run or do much of anything that required knee flexion. So I delved into care-taking with a long stint in Boulder with my Grandma as she recovered from surgery. 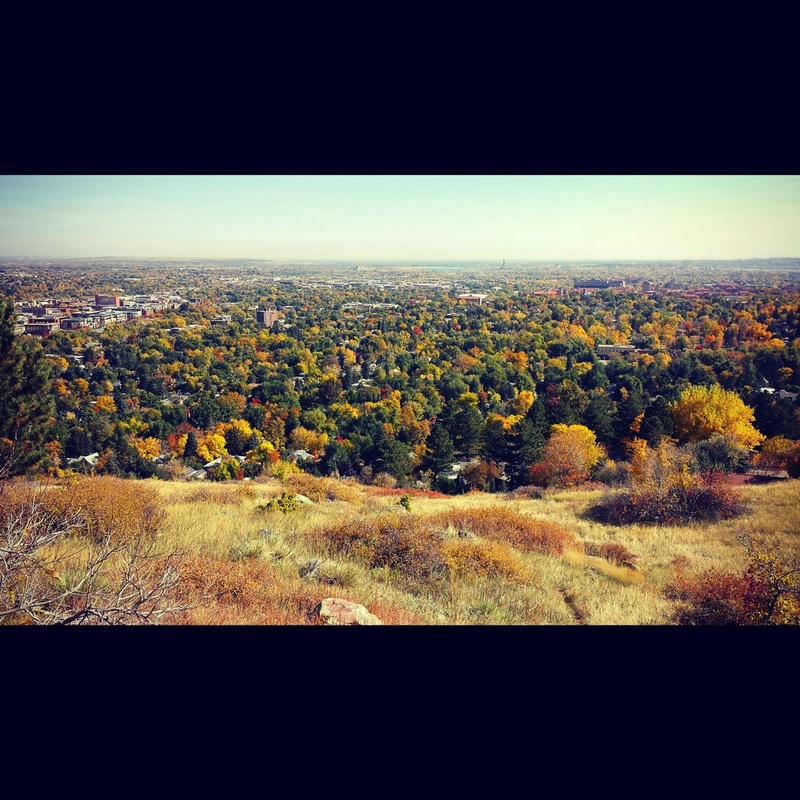 It was a great chance to spend some time with my family and enjoy some pleasant fall walks on Boulder's cherished and crowded open-space. Overlooking "The Bubble" in some brilliant fall colors. In my absence, TJ jumped at the opportunity to demo our bathroom and undertake an ambitious plumbing and reno project. 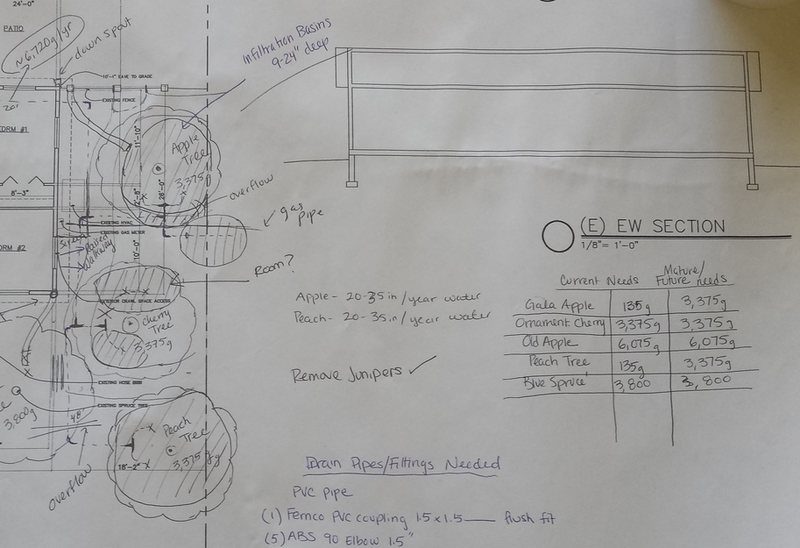 One of the most exciting things about this project (asides from replacing the c. 1970 fixtures and decor) is that we're installing a branched drain greywater system from our bathtub/shower drain. Now that I'm back in Prescott, I've been hard at work designing the system and prepping the new infiltration basins. Once built, the system will divert water away from the sewer pipe using a 3-way valve, and then split the flow multiple times on its way to irrigate trees on the north side of our home. Two of these trees are newly planted (an apple and a peach tree) and we also have a mature ornamental cherry that could use more water. This is a very labor intensive project up front but once it's constructed, it should require little maintenance and is a great way to recycle water back into a thirsty landscape. So why put in so much work? Because we could use some trees on the north side of our home for privacy and summer shade. Because in Prescott, AZ our municipal water is largely groundwater, pumped from groundwater deposits underneath the Chino Valley and then pumped inefficiently uphill for treatment and service to our taps and dumping this valuable (and expensive) water directly onto our landscape seems like a waste. Also, I love playing in the dirt and with some forced time off of my mountain bike, landscaping seemed like a fun alternative...for a bit. But now I'm on the mend and back pedaling around on this little Ridley X-Fire with Stan's Valor wheels. This is a bike I could envision getting through another 106-mile Chino Grinder on board, or possibly, Jingle Cross next weekend. Thanks for checking in with me this fall. If you'd like to help support me and my sponsors at the same time, check out some of the great deals that Backcountry.com has to offer this time of year. If you clink here, I get a commission on any purchase you make now or in the near future--how cool is that! ?